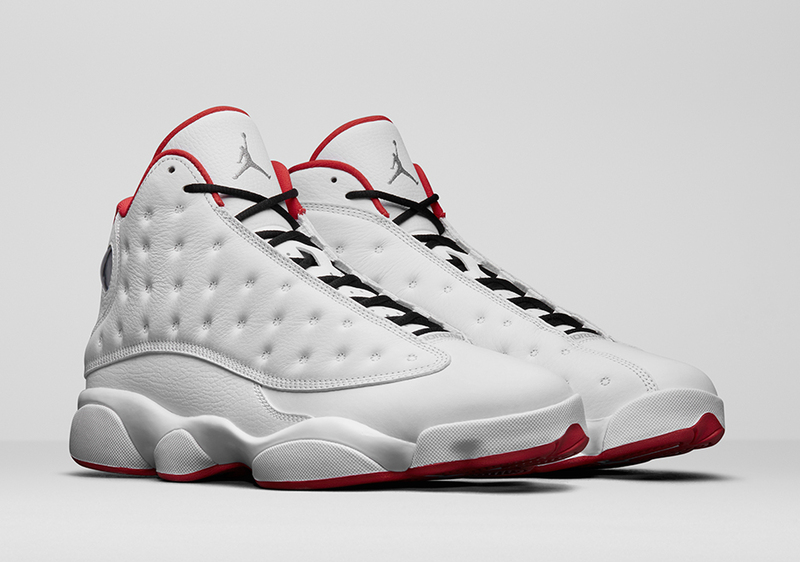 Jordan Brand is set to officially release the Air Jordan 13 History of Flight on July 22nd. The Air Jordan History of Flight Collection was unveiled in 2009, each sneaker celebrating the line’s 25th anniversary instantly became one of the rarest pairs of all-time. With a dominant White colorway with Red details and Black laces, it didn’t take much to imagine Michael Jordan playing in them in Chicago. From the display at the World Basketball Festival in Chicago to different Nike retail locations, the collection drew crowds even if the selection wasn’t available for retail. For nearly a decade, these remained behind a display glass, but now the brand releases the Air Jordan 13 version on its 20th anniversary. Look for the Air Jordan 13 “History of Flight” to release on July 22nd at select Jordan Brand retailers and Nike.com. The retail price tag is set at $190 USD.